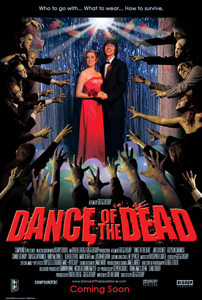 It's the night of the high school prom and the local power plant has polluted the graveyard causing a wave to zombies to rise from their graves and run amok. A group of teens try to battle them in this enjoyable comedy horror. This is really reminiscent of The Return of the Living Dead series, with a similar set-up and the same brand of gory tongue in cheek humour. The cast are good, the script and pacing work well and this is a lot of fun. It doesn't offer much in the way of originality and it isn't going to scare you either but if you want to relax with some comical gory zombie action then this is a perfect fit.